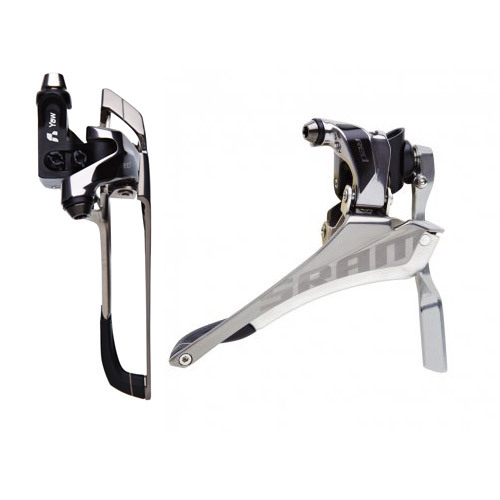 The new SRAM RED Front Derailleur changes everything. Instead of simply moving back and forth, the derailleur cage actually rotates to maintain a consistent angular relationship with the chain. We call it Yaw Technology, and it eliminates the need for shifter trim. As a result, shifts feel more direct, more precise, and combined with the new RED crankset and chainrings, delivers an unmatched performance advantage in front shifting.